The Institution held a seminar at the London Transport Museum Depot at Acton. 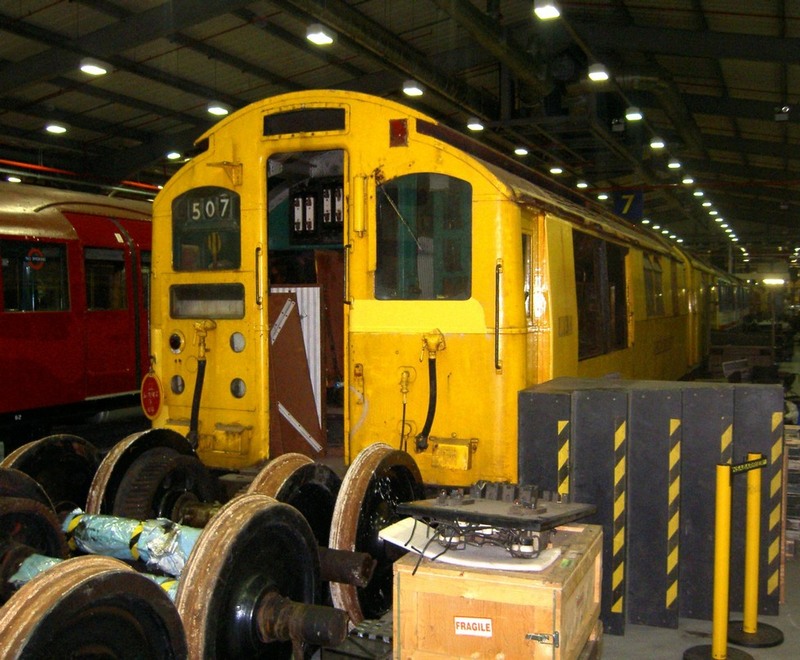 The pictures below where taken during our guided tour of the depot. 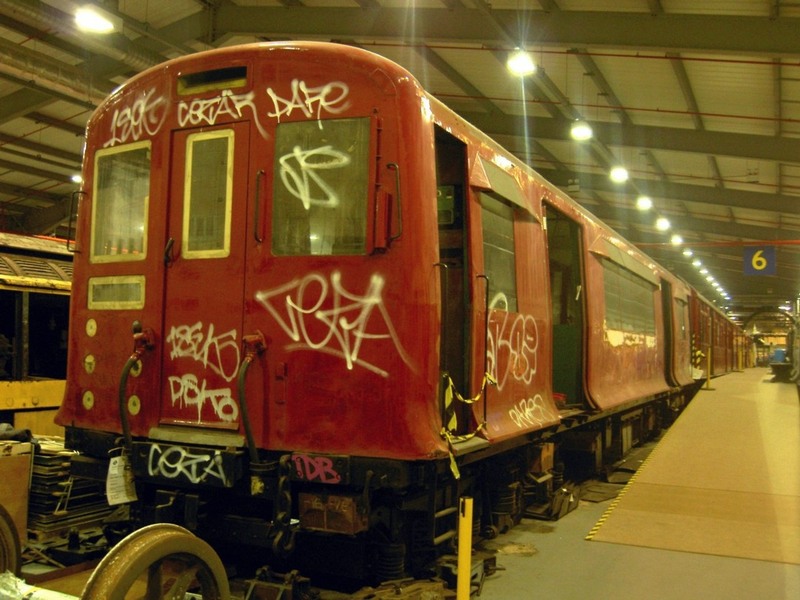 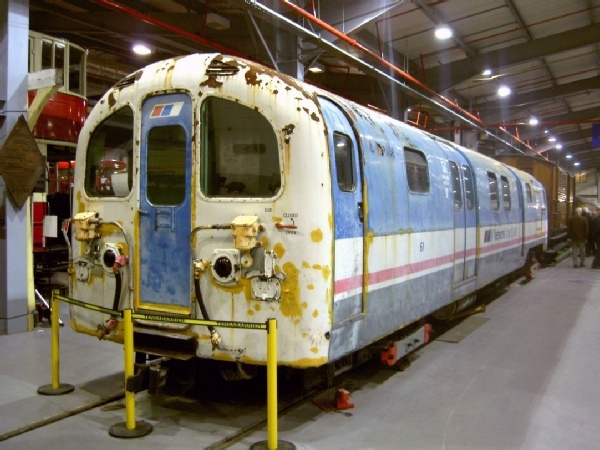 The London Transport Museum and London Transport Friends are committed to a joint project to restore to operational condition a four car train of Q stock. 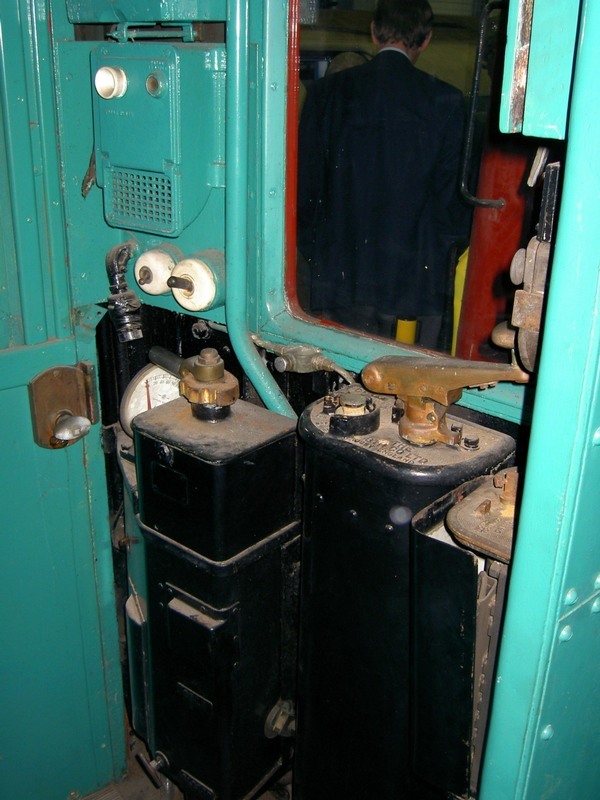 In this image Q38 driving motor car 4416 is shown , which was built on 1938 and withdrawn in 1971, later used as an engineer's pilot car. 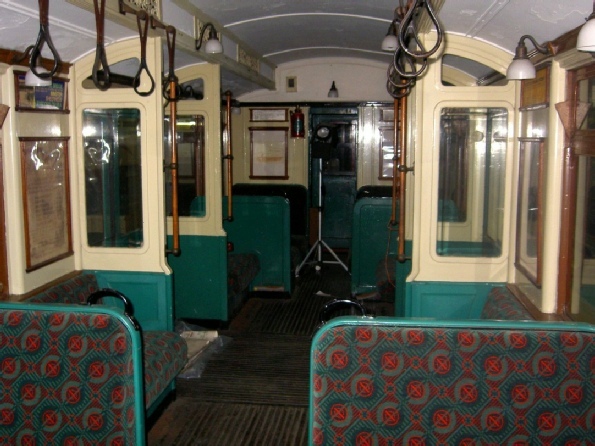 Exterior of Q35 trailer care 08063, built in 1936. 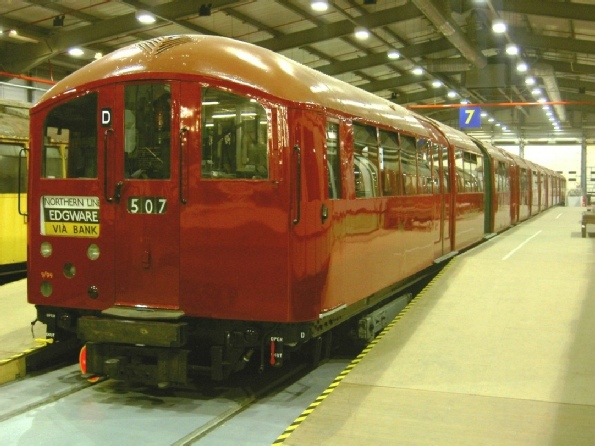 This car was donated to the museum in 1997 by the London Underground Railway Society whose members had undertaken some restoration. 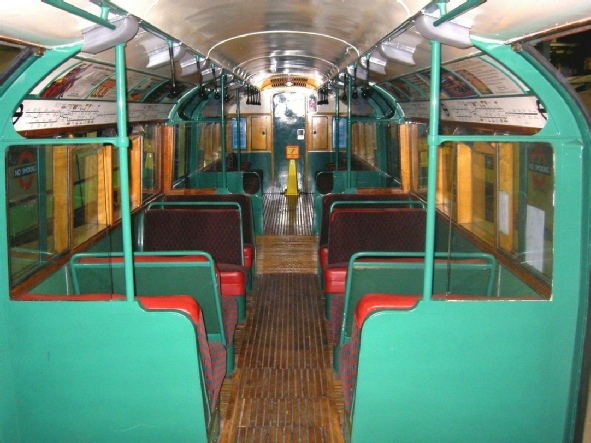 Interior of Q35 trailer care 08063. 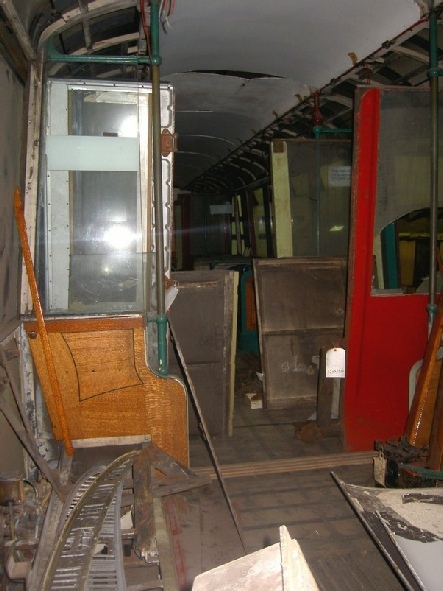 Note the clerestory roof. Q stock cab - brake valve on left hand side and power controller in the centre. In rather a contrast to the 08063, the interior of Gloucester Railway Carriage and Wagon company driving motor car 4184 - in need of a good deal of restoration. 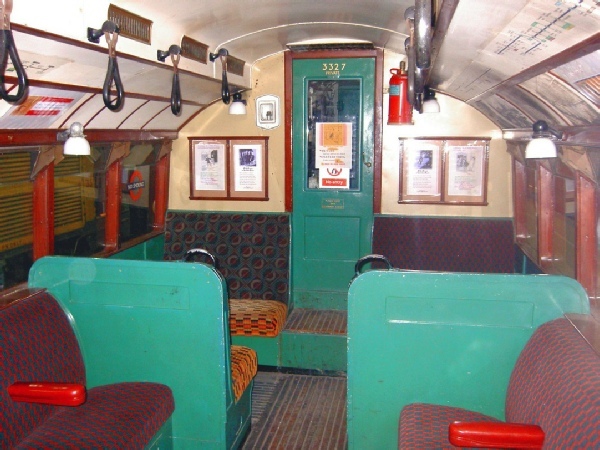 This coach was built on 1923. Master controller in Q stock cab with cover removed. 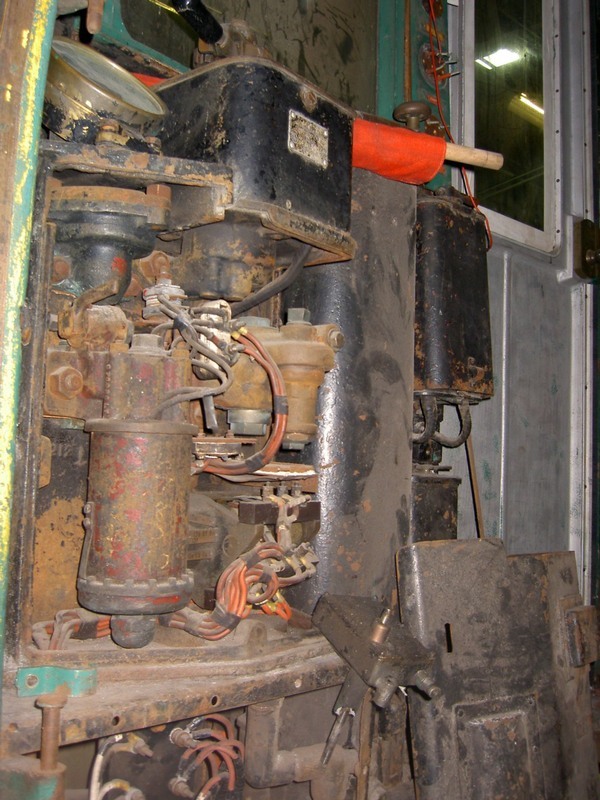 A Standard Stock driver motor, previously in departmental use. 1972 Mk 1 stock saloon interior (as ran on the Northern line) in original un-refurbished condition. A side view of 1983 stock driver motor 3734. 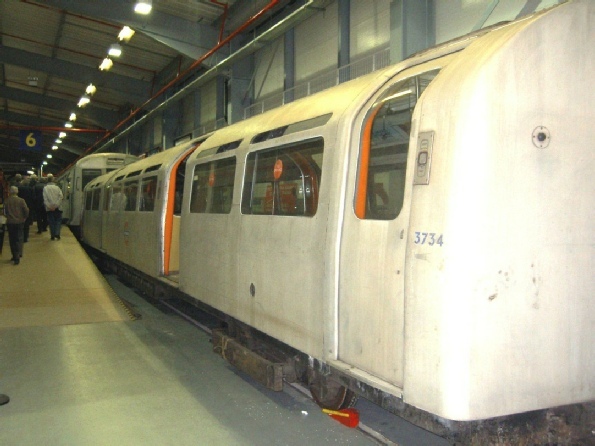 The 1983 stock, which spent it short life on the Jubilee Line, was not a success. As well as various electrical/mechanical/structural problems, one of the reasons for the downfall of the class was the mid-carriage single-leaf doors, clearly seen here, which extended station dwell times due to the time it took passengers to join and alight from the carriages through the relatively narrow door openings. 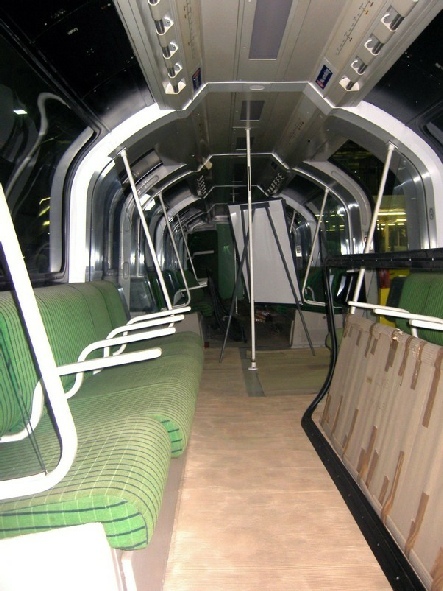 1983 Stock saloon interior - but they didn't run in service with a box of spare fluorescent tubes in the vestibule! These were the last London Underground carriages built with maplewood floor and strap-hangers. 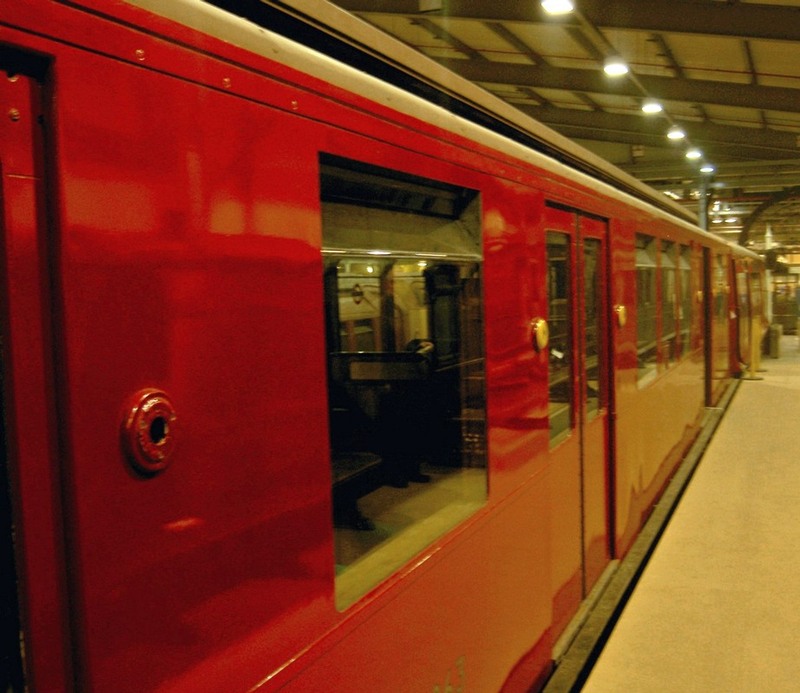 The use of 'mustard' (officially called turmeric) coloured laminate for many surfaces is possibly a questionable design choice, as are the ugly ceiling fan housings! 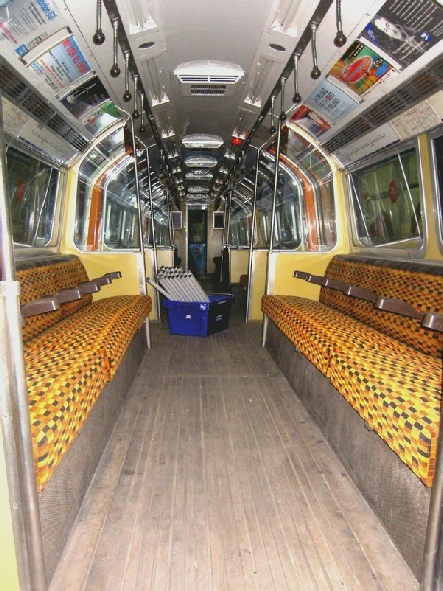 1983 Stock cab interior. 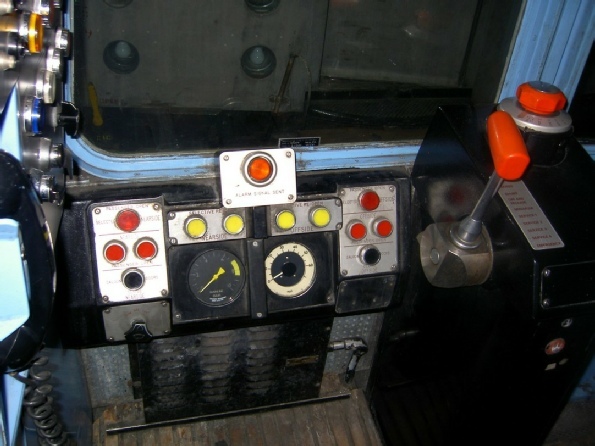 Note combined power/brake controller on right hand side - now standard in all new stock, these where the first tube trains to have these installed, after previously being used in the D78 underground trains. 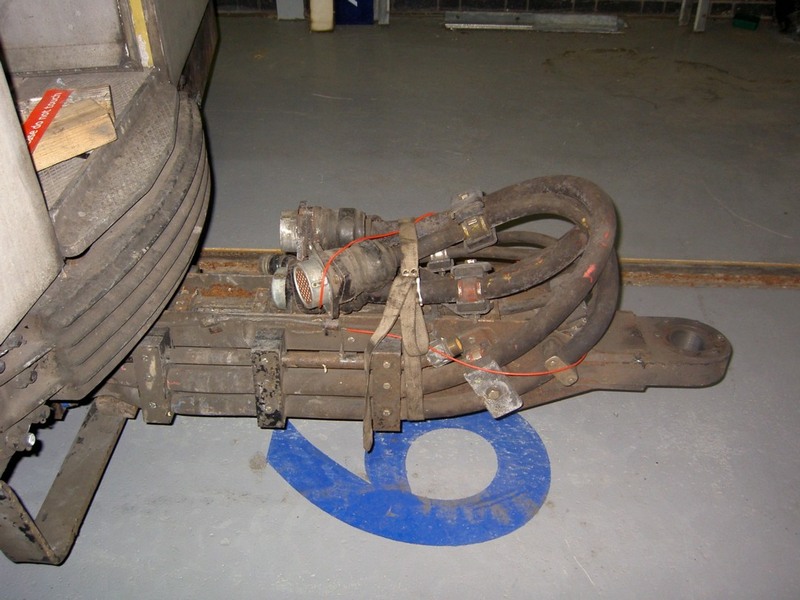 This rather unusual view shows in 1983 stock inter-car coupling, connected at one end to driver motor 3734 and not connected at the other end. The cab front of the green Metro-Cammell 'C' train - this is the driver motor from a two-car prototype built in 1987 which ran in passenger service on the Jubilee line from May 1988 to August 1989 alongside the red Metro-Cammel 'A' train and blue BREL-built 'B' train, all now scrapped. 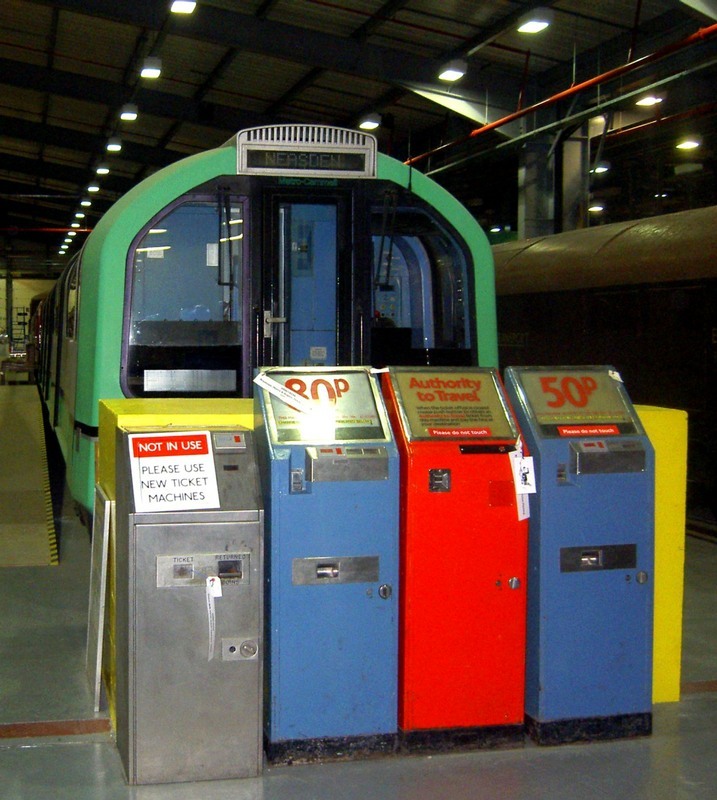 In the floor ground are various passenger-operated ‘single-fare' ticket machines. 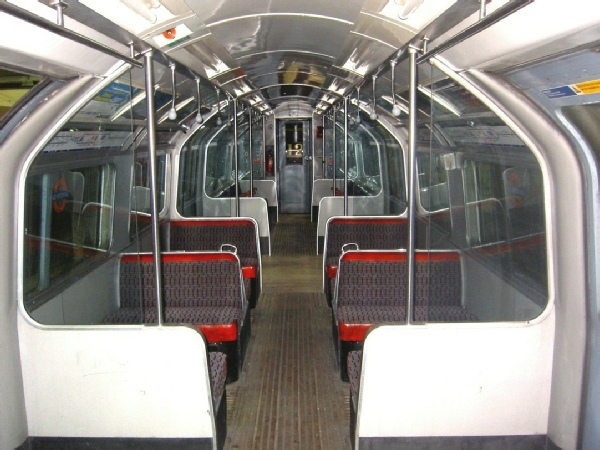 The at the time revolutionary interior interior of the 'C' train (the 1983 stock interior, see above, with it's traditional wooden floor, proceeded this) - principles from this design, such as the large curved saloon windows, were incorporated in the subsequent 1992 stock on the central line.